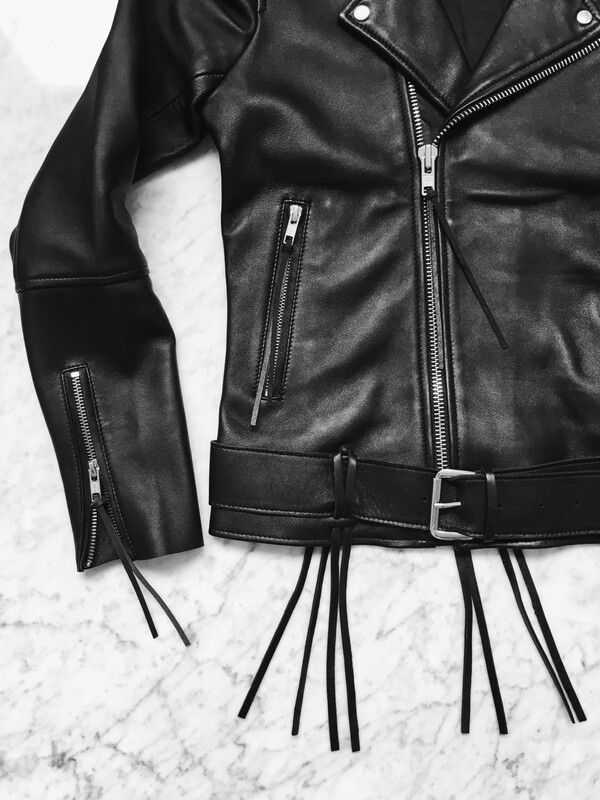 You can never have too many black leather jackets… (or at least thats what I tell myself) I’m a firm believer that a leather jacket is an ideal topper for almost any look. Newest addition & quite possibly the most special yet, sporting stament fringe that is a “wow” factor yet somehow understated at the same time, this Hironae leather is all cool without trying too hard & the perfect mix of bold and simple, just what you would expect from the French! Amazing jacket, love your black and white as always! 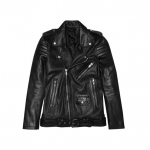 Such a beautiful leather jacket! Great look. I’m really impressed with your photos, i’ve been struggling to find a decent camera.